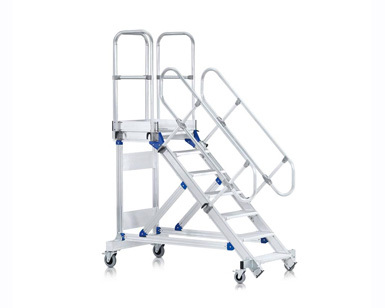 Perfect, ergonomic and safe standing on large-area platform with mobile application options. Selection of the required angle of inclination: 45° for comfortable access or 60° in confined spaces. 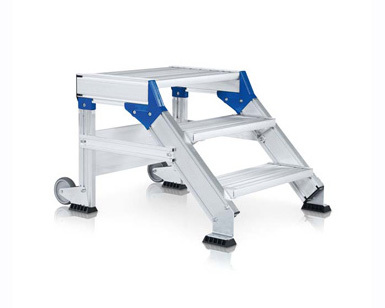 Platform length 600 mm – longer platforms available at an additional charge. Railing: As standard equipment with double-sided handrail and peripheral platform railing. 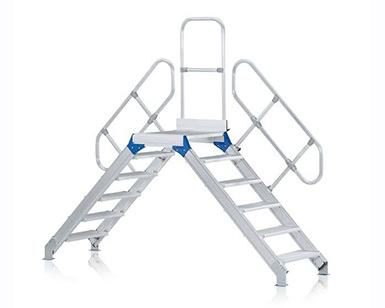 Handrails and railings can be removed individually and without the use of tools. 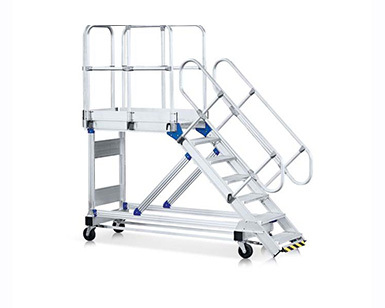 Optional accessories: Narrow chassis with ballast for confined spaces, non-static chassis and swing door available at an additional charge.